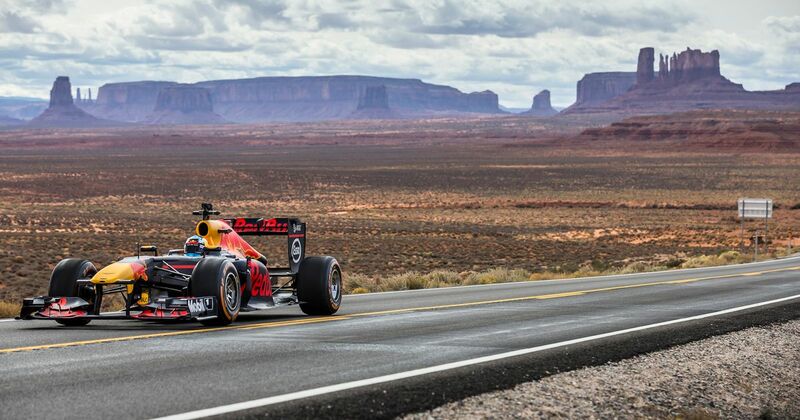 Ricciardo (or at least, someone in Ricciardo’s helmet) drives one of the team’s showcars through some iconic locations in the western United States. Starting with the bumpy streets of San Francisco (which looks absolutely mega), things move on to the open expanses of Monument Valley before winding up under the lights in Las Vegas. Speaking of lights, how weird is it to see them on the front of an F1 car? !